Happy St Valentine's Day (Thursday, February 14th) Everyone! In Los Angeles, California The Beverly Cinema will present a double bill of Jaws (1975) and The Deep (1977). Both films will be shown Friday, February 1 and Saturday, February 2. For more information, including the entire month of February’s exciting programme, click on the above image. In Stockholm, Sweden, The Swedish Film Institute Cinemateket will show Robert Wise’s The Haunting on Friday, February 1. For more information, click on the image above. In Aix-en-Provence, France The Institut de l'image will present a tribute to actress Jane Fonda from Friday, February 1 to Tuesday, February 26. The films to be presented are Les félins (1964), The Chase (1966), La curée (1966), Barbarella (1968), They Shoot Horses, Don’t They ? (1969), Klute (1971), Tout Va Bien (1972), Letter to Jane (1972), A Doll’s House (1973), Julia (1977) and The China Syndrome (1979). For the complete schedule (in French) and more information, click on the above image. In London, United Kingdom BFI Southbank will present “Starring Barbara Stanwyck” featuring many of her finest films from Friday, February 1 to Tuesday, March 19. February’s highlights include a double bill of Night Nurse (1931) + Baby Face (1933), Forbidden (1932), Double Indemnity (1944), The File on Thelma Jordan (1950), The Strange Love of Martha Ivers (1946) and No Man of Her Own (1950). For more information, click on the image above. In Aldeburgh, United Kingdom The Aldeburgh Cinema Trust T/A Aldeburgh Cinema will show Billy Wilder’s Ace in the Hole on Tuesday, February 5, Sunday, February 17 and Thursday, March 14. For more information, click on the image above. In Melbourne, Australia, The Melbourne Cinematheque will show the 251 minute extended version of Sergio Leone’s Once Upon a Time in America on Wednesday, February 6. For more information, click on the image above. In Chicago, Illinois The Chicago Symphony Orchestra will present North by Northwest with live musical accompaniment featuring Bernard Herrmann’s breathtaking score on Friday, February 15. In addition, there will be a preconcert conversation with conductor Richard Kaufman and composer Bernard Herrmann’s daughter, Dorothy Herrmann. Click on the above image for more information. Noir City will take place in Seattle, Washington from February 15 - 21. Highlights will include 1949’s Trapped, the latest restoration project of the Film Noir Foundation, the rare showing of 1951’s The Well on Saturday, February 16, Richard Quine’s Pushover on Sunday, February 17, Don Siegel’s Hidden Gem (#31) Private Hell 36 also on February 17 and Michael Curtiz’s The Scarlet Hour on Monday, February 18. For more information including the complete schedule, click on the image above. 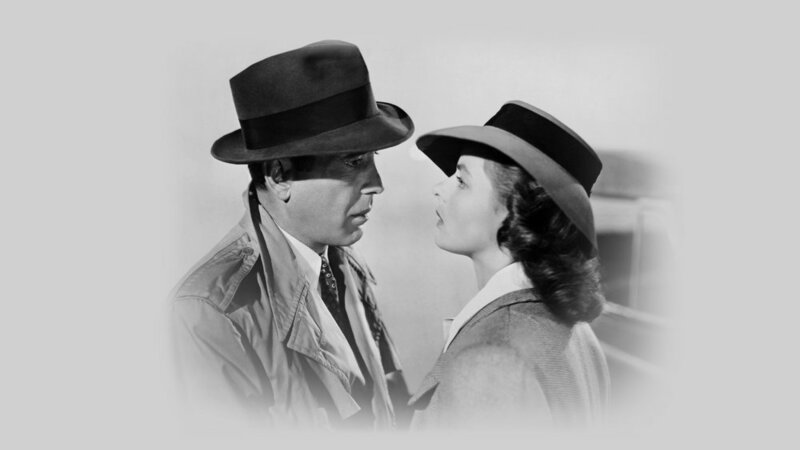 In Toronto, Canada The Toronto Symphony Orchestra will present Casablanca with live musical accompaniment featuring Max Steiner’s rousing score on Friday, February 15 and Saturday, February 16. Click on the above image for more information. 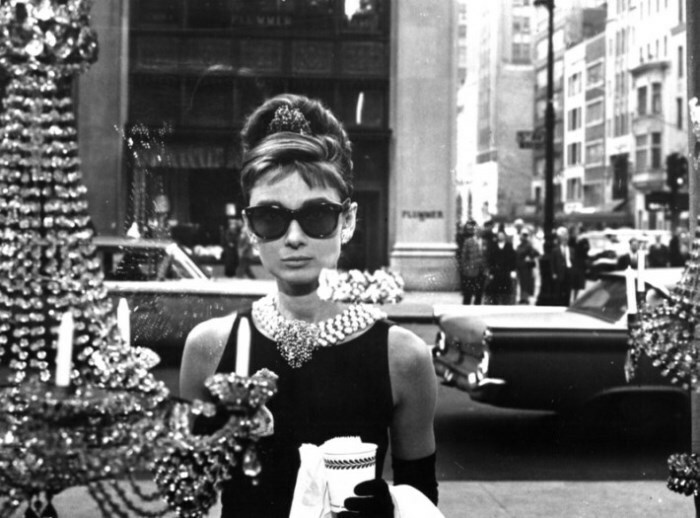 In Huntington, West Virginia CineConcerts will present Breakfast at Tiffany’s with a full symphony orchestra performing Henry Mancini’s beautiful score on Saturday, February 16. Click on the above image for more information. In Aachen, Germany The Aachen Symphony Orchestra will present City Lights with live musical accompaniment featuring Charles Chaplin’s (with strong assists from Arthur Johnston as arranger and Alfred Newman as musical director) score on Tuesday, February 19 and Wednesday, February 20. Click on the above image for more information. In Dubai (United Arab Emirates) CineConcerts along with The Dubai Opera and The Armenian State Symphony Orchestra will present The Godfather with live musical accompaniment featuring Nino Rota’s iconic score on Thursday, February 28. Click on the above image for more information. In Sydney, Australia Film Concerts Live! along with The Sydney Symphony Orchestra will present Casino Royale with live musical accompaniment featuring David Arnold’s thrilling score on Thursday, February 28, Friday, March 1 and Saturday, March 2. Click on the above image for more information. There are 21 recommended films to watch on Turner Classic Movies in the U.S. this month. Last year saw the sad passing of two fabulous actors Chuck McCann (September 2, 1934 - April 8, 2018) and Sondra Locke (May 28, 1944 - November 3, 2018) both of whom made genuine heartfelt impressions in The Heart is a Lonely Hunter a previous TCM recommendation here. Viewers can realise a wealth of emotion by tuning in Friday, February 1 at 1pm PST. Later in the evening TCM’s screen will turn as dark as the inside of a gun barrel in Taxi Driver. 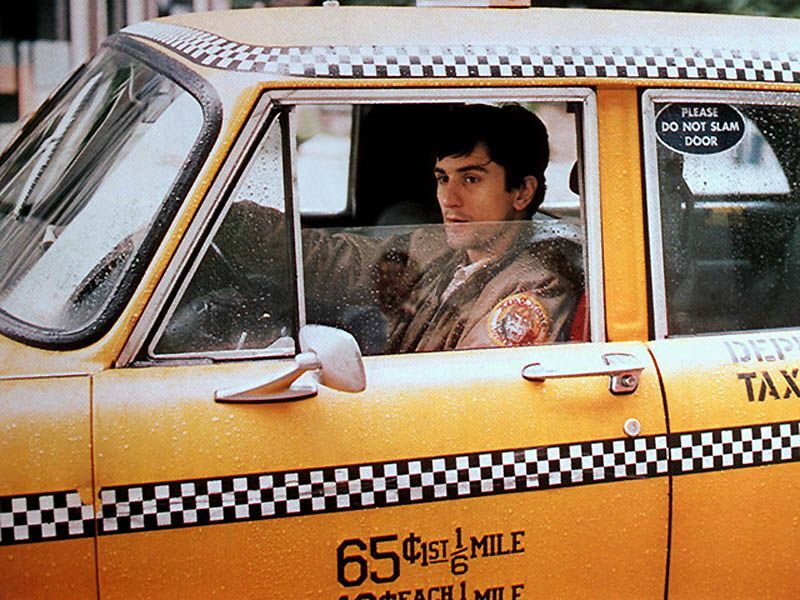 This is Martin Scorsese’s exploration of a cab driver’s descent into hell and was previously reviewed as a Blu-ray here. One can catch this nightmarish ride Friday, February 1 at 11pm PST. Another character’s harrowing struggle with his demons is examined in Billy Wilder’s The Lost Weekend previously reviewed here. This alcoholic’s journey will ensue Saturday, February 2 at (late evening) 12am PST. One of David Lean's more ambitious projects may have turned out less artistically accomplished than its director intended. Still, the film has many attributes making Doctor Zhivago well worth seeing. Afterwards, I'd be truly appreciative if readers had a look at my review here. This epic scale romance will begin Sunday, February 3 at 1:30pm PST. 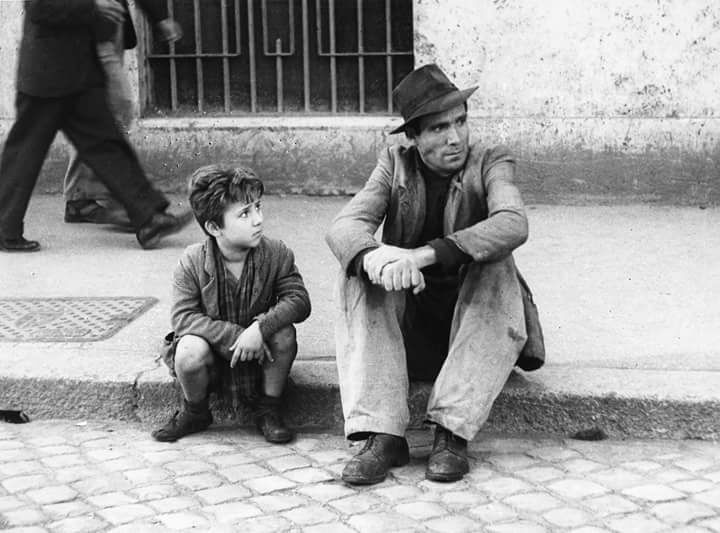 My next must-see TCM film recommendation is Italian director Vittorio De Sica's neo-realist masterpiece The Bicycle Thief (Ladri di biciclette), one of the most emotionally devastating films of all time (See: Top Ten World Cinema Treasures). No amount of superlatives can possibly describe the spiritual rewards one gleans from witnessing this simple but profound odyssey taken by a father and his dutifully loving son while desperately searching for a stolen bicycle. It airs on Monday, February 4 at (late evening) 2:30am PST. Another of the Top Ten World Cinema Treasures is The Battle of Algiers a.k.a. La battaglia di Algeri. The intensity of resolve and emotional dedication is so resolute on both sides of the conflict portrayed, it'll take a miracle for the invested viewer to fully recover after witnessing this stunning cinematic spectacle. The battle will commence Tuesday, February 5 at 11am PST. Despite a rather familiar premise, the supremely talented creators of this melodrama were able to deliver a storyline that is mature, sophisticated and genuinely heartfelt. 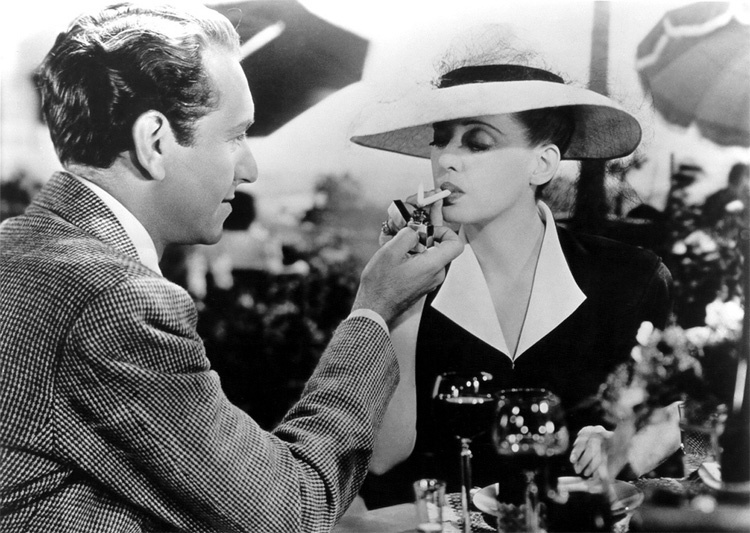 Previously reviewed here, Now, Voyager will set sail Friday, February 8 at 5pm PST. My next TCM recommendation has been previously reviewed here and is the story of Bonnie and Clyde only re-imagined as the mythical romantic exploits of an impossibly gorgeous, but infamous couple in crime. 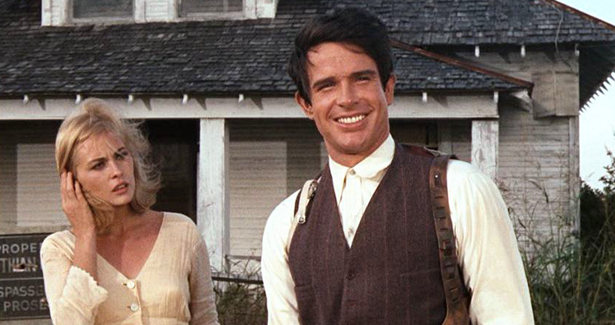 The Barrow Gang will strike on TCM Friday, February 8 at 9:45pm PST. After World War II, many returning servicemen were disillusioned to find jobs were scarce and their wives’ (or girlfriends’) faithfulness even scarcer. The Best Years of Our Lives addresses this reality head on when the Dana Andrews character finds it impossible to please either his previous employer or trophy wife upon his return to civilian life. Perhaps for this narrative distinction, authors Borde and Chaumeton in the filmography of their highly respected book Panorama of American Film Noir 1941 - 1953, and the first to be published on the subject, included The Best Years of Our Lives as film noir. The film portrays no crime, the focus is not on Andrews’ experiences alone, and he comes out better off at the end without his superficial but admittedly gorgeous wife, which for myself, collectively place this film well outside of noir’s dark and gloomy world of illegal activity. Previously, I highly praised The Best Years of Our Lives for its exceptional musical score composed by Hugo Friedhofer in the first part of a series entitled Top Ten: Motion Picture Music Treasures. This emotionally powerful tour de force will commence on TCM Sunday, February 10 at 11pm PST. MGM's 1952 musical Singin' in the Rain was not adapted from a stage production, though the film was later turned into one, being first presented on stage in 1983. Its abundant creativity, innovation and driving energy place this film at the top of all cinematic musicals ever produced. Singin' in the Rain has been reviewed as a past Blu-ray selection here and will joyously dance its way onto TCM Monday, February 11 at 11:15pm PST. 1944's Academy Award Best Picture Winner Casablanca is a film a few of you may have heard about. This recommendation may come as a surprise to readers more familiar with my past articles since it is included on a list of overrated films and reviewed here. There is no denying the fact that this film casts a magical spell and is certainly capable of sweeping one up in its appealing blend of romance, sacrifice and political intrigue. Besides, for those who haven't seen it or seen it enough, how are they to know if my criticisms are sound? This 1942 classic, one of Hollywood's proudest, and a most appropriate choice for this month, airs Tuesday, February 12 at 3pm PST. A most appropriate recommendation for today is this true romance film of the highest artistic calibre which has been reviewed in Opening Up a Treasure: Brief Encounter. Director David Lean's emotionally stirring "encounter" will begin on Thursday, February 14 at 3:30pm PST. At one point in this next TCM recommendation, a so called “mad prophet of the airwaves” urges viewers to open their windows and scream out to the world “I’m as mad as hell and I’m not going to take this anymore!” By then it’s become pretty clear, only to be further cemented as the story unfolds, that most of those in or behind the production of Network, must be similarly "mad as hell", either emotionally, mentally or both. Paddy Chayefsky’s savage screenplay is a massive grab bag of satire, media condemnation including its subservient masses, prognostication, behind the scenes exposé, personal and societal immorality, angst and despair, political extremism and exploitation including acts of terrorism, individual and corporate lust for power but most of all, madness. Leading Chayefsky’s institutional blitzkrieg is director Sydney Lumet, fully aligned with his writer’s extraordinary vision, along with an army of perfectly chosen, dedicated actors. Included with the aforementioned cast are the equally as dominant characters played by Robert Duvall, Beatrice Straight and Ned Beatty. Interactions between all of Network’s personalities burn hotter than the vault melting oxy-lance used by Frank’s Thief through dialogue as acidic as the blood spurting from one of Ripley’s Alien adversaries. A downside to all this dramatic intensity is the rather abrupt end to some of the more personal clashes of will we witness. Conflicts this potent and revealing, between characters so vivid and genuine, make us crave more. Ironically, contemporary television’s fictional narrative structure, surely one of the medium’s redeeming qualities, would have made an ideal format for exploring further the riveting relationships portrayed in this film. As far as television news is concerned, Beale may have been this film’s “mad prophet of the airwaves” but considering what we’ve witnessed since 1976’s Network, namely the proliferation of reality television, unscrupulous business practices, corporate influence over U.S. political policies (not to mention how and what we hear about them), the public’s ongoing appetite for witnessing real life mayhem, politicised news programmes both left (Last Week Tonight) and right (Fox News), it seems that in addition to his fictional character’s slogan, Network’s Paddy Chayefsky was also a “mad prophet”… of cinema. The show must go on (updated) Thursday, March 21 at 7:15pm PST. Network is also February’s Blu-ray pick of the month. See the last entry in this column for more details. Top Ten Western #8 High Noon, is a simple but tightly constructed narrative, one of the few that unravels almost completely in real time. This western shows how to build suspense and character synergistically to create a most genuine and satisfying cinematic experience. The showdown will arrive on TCM Monday, February 18 at 5pm PST. In case any viewers missed last month’s showing of Seven Brides for Seven Brothers (reviewed here), they’ll have another chance to see this outrageously enjoyable musical on Wednesday, February 20 at (late evening) 12am PST. Umberto D. is a previous TCM recommendation here. Carlo Battisti provides a heart-wrenching portrayal of a Government pensioner in Rome as he desperately struggles to survive his impoverished circumstances. Director Vittorio De Sica's humanity will shine on Umberto and his endearing friends Friday, February 22 at 6:30am PST. John Huston’s The Treasure of the Sierra Madre is indeed an unforgettable American treasure and a prior TCM recommendation here. 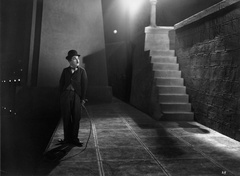 Its cinematic storytelling riches can be uncovered on TCM Saturday, February 23 at 10:15pm PST. This next recommendation is not only a must-see classic, it is a must-see numerous times American film classic, because of the impossibility of taking in all of its vast number of dazzling storytelling riches in a single viewing. One of the Top Ten: World Cinema Treasures, Citizen Kane is a previous TCM recommendation here and will present himself Monday, February 25 at 8:15pm PST. The caper film first laid its roots in The Asphalt Jungle previously reviewed here. The depth of its characters and their fascinating interactions as the drama builds to a cathartic resolution, is why this film has become one of America's finest cinematic achievements. The 'planning' will start on TCM Wednesday, February 27 at 11am PST. A criminal's mother-fixated pathology and the undercover cop trying to catch him are the topics of an undisputed film noir, White Heat, a previous recommendation here. TCM's screen will heat up Wednesday, February 27 at 1pm PST. Director John (The Magnificent Seven) Sturges helmed a few nifty entries in the film noir genre, including 1950's Mystery Street previously reviewed here. This CSI noir with a ‘Hitchcockian’ twist can be checked out Wednesday, February 27 at 3pm PST. This month’s Happy Birthday shout-out goes to comedian and actor Gilbert Gottfried who turns 64 on February 28th. His best known film role is in the Disney animated hit Aladdin (1992) as "Iago", the parrot. He also appeared in Beverly Hills Cop II (1987), Look Who’s Talking Too (1990) and Problem Child (1990) as well as numerous TV series. Anyone who has watched Gilbert on one of TV’s Comedy Central “roasts”, seen his stand-up routine or an appearance as himself in one of many documentaries such as The Aristocrats (2005), is bound to remember his outrageously distinctive “no limit” brand of creative humour. He also shares with myself a favourite film. February's Soundtrack recommendation is a limited CD (only 3000 produced and close to being sold out) containing two of composer Andre Previn's most driven scores: The Fastest Gun Alive (1956) and House of Numbers (1957). Before André Previn became a renowned conductor and composer of various classical works, he was a notable jazz musician, songwriter and film composer. Some of his best known film scores include Bad Day at Black Rock (1955), Elmer Gantry (1960), The Four Horsemen of the Apocalypse (1962) and Inside Daisy Clover (1965). Here on one CD are two of the composer’s perhaps lesser known but still outstanding scores including The Fastest Gun Alive (1956), the film, previously reviewed here. Previn’s score to this highly engaging western is formidable, passionate and highly thematic. His other musical contribution is provided for the film noir House of Numbers (1957) concerning a rather unusual prison break. The composer rightfully embraces the story’s somewhat implausible plot with his bold and yet variable compositional approach. Both scores are distinctive, emotionally expressive and deliver an absolute pleasurable listening experience. The CD was issued by Film Score Monthly and can be ordered from Screen Archives Entertainment by clicking on the accompanying image. This month’s recommended Blu-ray is to the above reviewed Network (Region Free) from Warner Brothers which can be ordered from Amazon.com in the U.S. by clicking on the image.